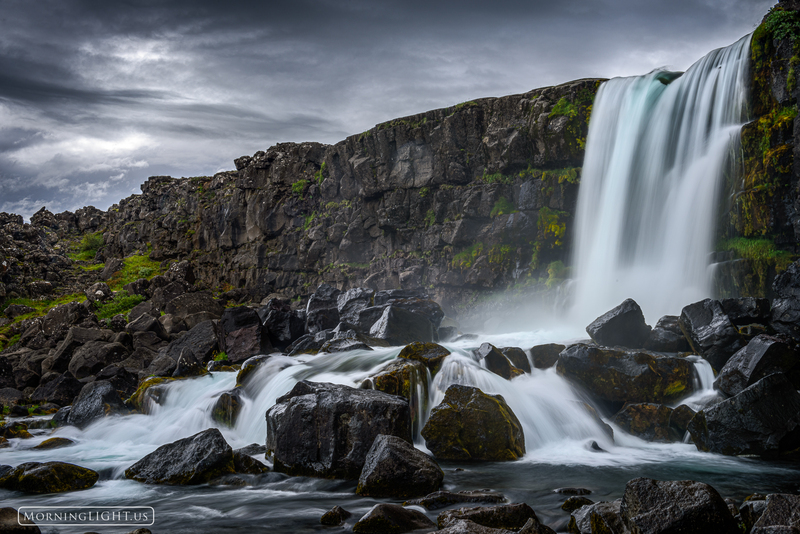 This is Öxarárfoss waterfall in Iceland's Þingvellir national park on a very stormy day. Just after I shot this the sky let loose with an impressive downpour that sent all of us hurrying back to our car to take shelter. Photo © copyright by Erik Stensland.